Situated in Normandy, the Pavillon de Gouffern is one of the most typical b and b in the region. This old hunting lodge was buit in 18 century and it has a wonderful park of 80 hectares. Discover a quiet place for your getaway and enjoy nature and different activities. During your stay, visit the heart of horse country : the National Haras du Pin which welcomes more 60 000 persons per year. For the history lovers, you can’t miss the William the Conquerer’s castle at Falaise, near the bnb, you can return in the past and discover the past of Normandie, for example, visit the Montormel Memorial related about the year 1944. Don’t forget to go to wonderful villages like Alençon or Argentan, and taste the Camembert in its city ! The Pavillon du Gouffern is 4-star hotel, perfectly situated, an hour’s drive from Caen. Discover a modern design mixes with authentic look like an old English manor. Marble, leather and timber decorate the different rooms : a luxury style is everywhere. 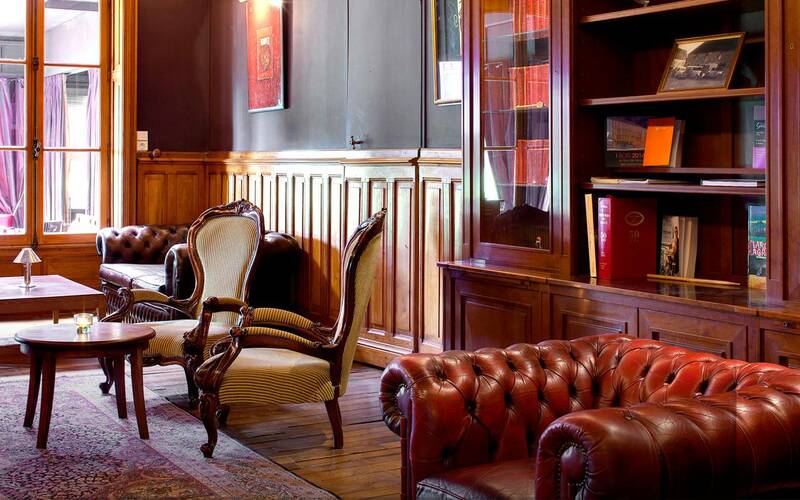 You can enjoy about different rooms : a smoking room, you can relax, in the Boudoir to stay near the fire, and the Library to play games or read a book in an absolute silence. For your night, our bed and breakfast invite in a quiet place. We offer you a large choice of rooms. You can spend your night in a classical room, in a double room, in a triple room or in a suite bedroom called « doll’s house ». All the rooms are spacious and unique and are equipped with Free Wifi, phone, radio, flat screen TV, air dryer and view of the park and forest. Also, the bathroom are in marble, teak or stone France. For your breakfast and to start your day, taste our fresh products composed of fruits, breds, viennoiseries, hot drink and fresh juices.